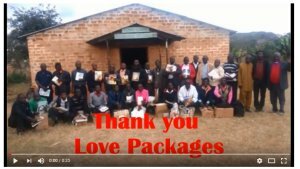 Thanks to Steve Schmidt of Eagles Nest Ministries, USA, for the Love Packages sent to Africa through United Caribbean Trust the container arrived in Tazania and was transported down to Mbeya and into Zambia.. 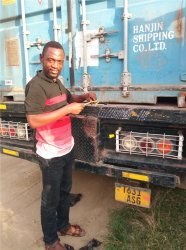 Thanks to Apostle David Akondowe for all his hard work to clear and distribute the first Love Package container to arrive in Tanzania. 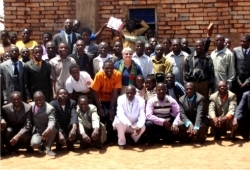 These were distributed through the African Training Bible School network of Pastors in Zambia. 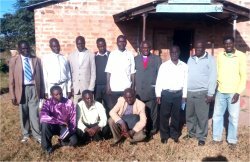 View our short little video of a Zambian Pastor expressing his gratitude for the books and Bibles given to him from Eagles Nest Ministries, distributed by United Caribbean Trust.